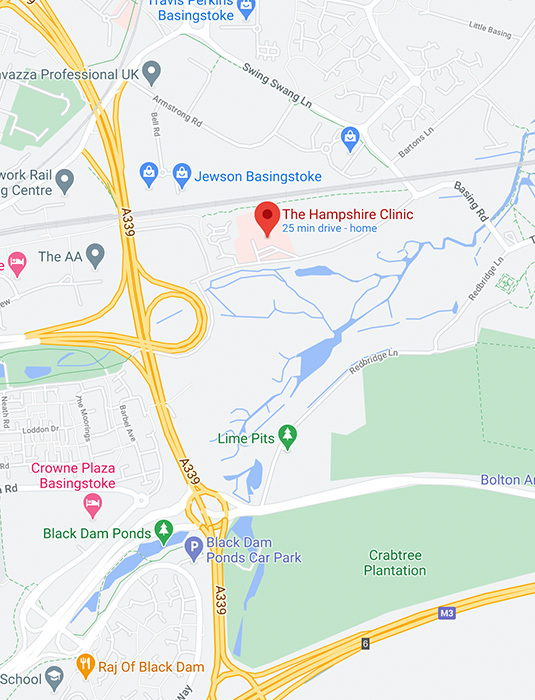 Travel on the A339 Ringway North to Reading Road (A33) Roundabout and exit via Faraday Road and Swing Swang Lane toward Old Basing and Basing House. Prepare to turn sharp right immediately after going under the bridge at the end of Swing Swang Lane. The Clinic is 300 yards on your right down Basing Road.